Spa is the place that helps one to relax and refresh. However, for those that work there it is a different story entirely. In order to make sure the customers are feeling peace at the spa, the employees work hard, diligently and responsibly to the best of their capacity. 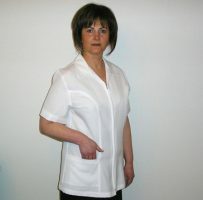 In spa uniform service, Wash n Wear is the name to trust. However, when it comes to optimizing the employees working output, one must take into account many factors. 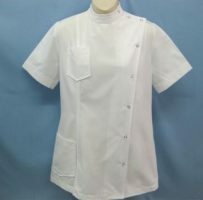 A very crucial and important factor to care about is them being adequately and practically dressed, not only that a great emphasis should be placed on their comfort and well-being when it comes to selecting the perfect uniform for them. 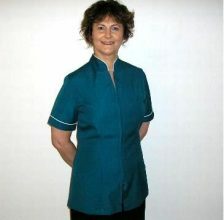 Wash n Wear has variety of spa uniforms in Perth to choose. 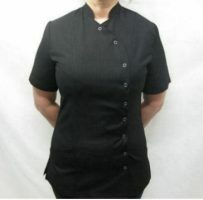 If you're opting to choose Wash n Wear to provide you or your spa employees with the best spa uniforms in Sydney, Perth or Brisbane, we can assure you that you're in good hands and this venture shall be a beneficial one for you. 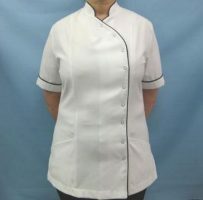 When it comes to designing and producing spa uniforms in Brisbane, that are fashionable, presentable and practical, wash n wear excel. Our vast experience in this field has made us veterans in the industry and we always ensure that our customers are supplied with uniforms that leave them content and satisfied. Our designers are adept at using hybridized techniques that render our designs with a perfect blend of rationality and efficiency. Customer satisfaction is our priority. We work day and night, to facilitate the clients. Our services ensure make a longevity in a relationship. Ash n Wear have all the resilience special techniques and tactics have to be utilized in their creation process. And this is where we come in to play; our skilled team of designers knows which fabric to utilize for our products to be exceptional. 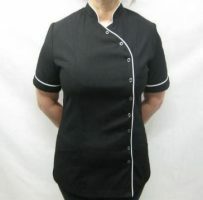 Our spa uniforms are specifically created to be utilized in that above-mentioned environment, we make sure that the fabric we use in our spa uniforms is resistant to the effects of wear and tear. Wash n Wear is home to a wide variety of spa uniforms, we are constantly working on new designs for our customers which are trendy, chic and fashionable at the same time. We have the best assortment of spa uniforms available in Sydney, Perth or Brisbane. Our designers are innovative and they constantly challenge themselves, that leads to our products being versatile and stylish. Our designs are easy on the eyes and we're pretty sure they'll be to your customers' liking as well. If you need any specific add-on or have any preferences in mind please contact us and we'll do our best to accommodate you in every way possible. Our catalog has a lot of samples and designs of spa uniforms, just take your pick and we'll provide you with them. Customer's satisfaction is our top most priority and because of that we pour a lot of hard work and energy into our designs, we hope that we at Wash n Wear can provide you with the perfect spa uniform.